Increasing evidence has suggested that oxidative stress may be involved in the pathogenesis of amyotrophic lateral sclerosis (ALS). The antioxidant vitamin E (alpha-tocopherol) has been shown to slow down the onset and progression of the paralysis in transgenic mice expressing a mutation in the superoxide dismutase gene found in certain forms of familial ALS. The current study, a double blind, placebo-controlled, randomised, stratified, parallel-group clinical trial, was designed to determine whether vitamin E (5000 mg per day) may be efficacious in slowing down disease progression when added to riluzole. Methods. 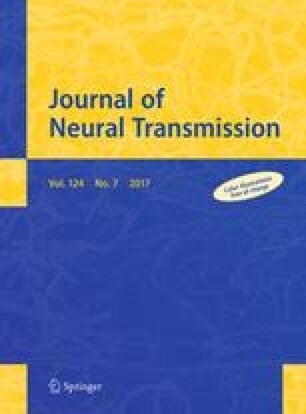 160 patients in 6 German centres with either probable or definite ALS (according to the El Escorial Criteria) and a disease duration of less than 5 years, treated with riluzole, were included in this study and were randomly assigned to receive either alpha-tocopherol (5000 mg per day) or placebo for 18 months. The Primary outcome measure was survival, calculating time to death, tracheostomy or permanent assisted ventilation, according to the WFN-Criteria of clinical trials. Secondary outcome measures were the rate of deterioration of function assessed by the modified Norris limb and bulbar scales, manual muscle testing (BMRC), spasticity scale, ventilatory function and the Sickness Impact Profile (SIP ALS/19). Patients were assessed at entry and every 4 months thereafter during the study period until month 16 and at a final visit at month 18. Vitamin E samples were taken for compliance check and Quality Control of the trial. For Safety, a physical examination was performed at baseline and then every visit until the treatment discontinuation at month 18. Height and weight were recorded at baseline and weight alone at the follow-up visits. A neurological examination as well as vital signs (heart rate and blood pressure), an ECG and VEP’s were recorded at each visit. Furthermore, spontaneously reported adverse experiences and serious adverse events were documented and standard laboratory tests including liver function tests performed. For Statistical Analysis, the population to be considered for the primary outcome measure was an “intent-to-treat” (ITT) population which included all randomised patients who had received at least one treatment dose (n = 160 patients). For the secondary outcome measures, a two way analysis of variance was performed on a patient population that included all randomised patients who had at least one assessment after inclusion. Results. Concerning the primary endpoint, no significant difference between placebo and treatment group could be detected either with the stratified Logrank or the Wilcoxon test. The functional assessments showed a marginal trend in favour of vitamin E, without reaching significance. Conclusion. Neither the primary nor the secondary outcome measures could determine whether a megadose of vitamin E is efficacious in slowing disease progression in ALS as an add-on therapy to riluzol. Larger or longer studies might be needed. However, administration of this megadose does not seem to have any significant side effects in this patient population. Keywords: Alpha-tocopherol (vitamin E), ALS, riluzole.